A prominent computer security expert was barred from boarding one United flight, removed from another, and detained by the FBI—all apparently over a tweet pointing out how easy United’s security system would be to hack. Chris Roberts—the founder of security analysis firm One World Labs—tweeted about vulnerabilities on his United flight’s engine-indicating and crew-alert systems (EICAS) last Wednesday. That same day he was reportedly pulled off a United flight and questioned by the FBI for more than four hours. His lawyers also claim the FBI seized his laptop, iPad, hard drives and other equipment without a warrant. The FBI reportedly determined Roberts—who was warned not to access flight controls after publicly identifying vulnerabilities in AirBus and Boeing systems—meant no harm. 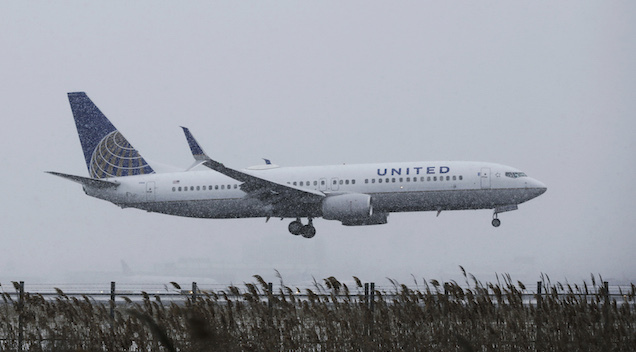 But either way, United isn’t having it: Roberts was reportedly removed from a second flight while en route to a security conference in California. An airline spokesperson tells the AP that the airline feels “confident” about its system but still considers Roberts a threat. Johnson did not respond to a follow-up question Sunday why Roberts would still be a threat if he couldn’t, in fact, compromise United’s control systems. United tells reporters Roberts should receive a letter in the next two weeks explaining why he’s been barred from the airline.